Adult party hats are a great way of breaking the ice at parties. 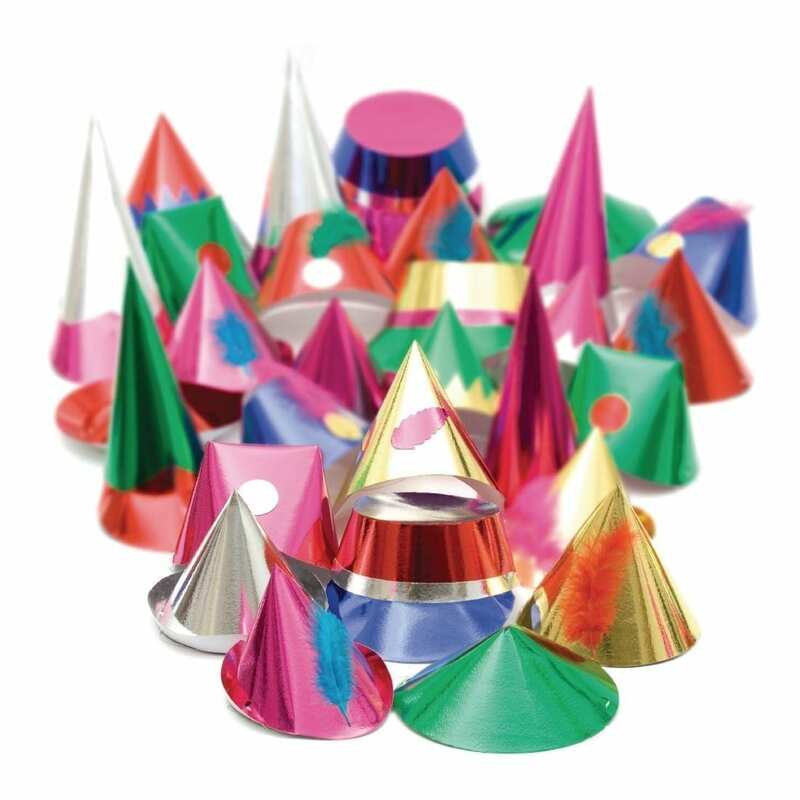 Made from metallic card, the party hats are supplied in random shapes that could be tall cones, short cones, military style, or even in the shape of a wizard’s hat. Some hats have brightly coloured feathers attached and some have unusual shapes. No matter what’s included, you’re sure to have a great party.